Continuing to lead the consumer electronics industry with the very best in personal and home electronics, Pioneer Home Entertainment U.S.A. today revealed the breadth of its lineup being featured at CE Week 2016. Located in booth #118 on the main floor in the Metropolitan Pavilion, Pioneer’s extraordinary range of products encompass a wide variety of product categories for the casual listener as well as the audiophile, including personal headphones, portable digital audio players, advanced network AV receivers, a 2-channel stereo receiver and turntable, and speakers. Headlining the event in the AV receiver category is the newly announced SC-LX501 Elite 7.1 Channel Network AV Receiver, along with the VSX-1131 7.2 channel Network AV Receiver, both of which provide some of the most advanced networking options available today. Known for their crystalline sound quality, Pioneer headphones on display during the show include the SE-Master1 hi-res stereo headphone that is individually assembled by a master craftsman and conveys nuanced sound right down to the smallest detail. The SE-MHR5 was announced earlier this year and is perfect for the on-the-go listener. It features a resilient 40mm driver that produces a vast frequency range, while its dual folding design is ideal for the traveler. Pioneer’s XDP-100R is the portable high-resolution audio entertainment system for the audiophile who wants Pioneer home-theater sound quality in the palm of their hand. The first digital audio player (DAP) compatible with Meridian’s MQA technology, the XDP-100R is a masterpiece of design and sound for the hi-res generation. Pioneer will have three examples of their speakers on-hand: the award-winning SP-EBS73-LR Dolby Atmos®-enabled Elite® Concentric Compact Speakers; the SP-T22A-LR Dolby Atmos-enabled add-on speakers, and the compact SP-BS22-LR — all have been designed to enhance any home theater. Rounding out the lineup is Pioneer’s PL-30-K turntable, a true audio purist turntable that makes listening to records more rewarding than ever before, and the SX-N30 2-Channel Stereo Receiver that is ideal for hi-res music and has a host of wireless compatibility including Wi-Fi, Bluetooth®, and Apple AirPlay®, as well as a variety of streaming services like Pandora, Spotify and TuneIn. Pioneer is also providing a “sneak-peek” at two previously unannounced products. More details will be provided at the booth. Please stop by the Pioneer Home Entertainment booth during CE Week located in the Metropolitan Pavilion, booth #118 on the main floor. For further information about Pioneer’s complete line of products, please visit http://www.pioneerelectronics.com/PUSA/Home. About Pioneer Home Entertainment U.S.A.
Headquartered in Long Beach, CA, Pioneer Home Entertainment U.S.A. is a leader in home entertainment products under the Pioneer and Elite brands. With an established reputation for innovation and quality, the company’s products are embraced by high-end custom installers and general music lovers alike. 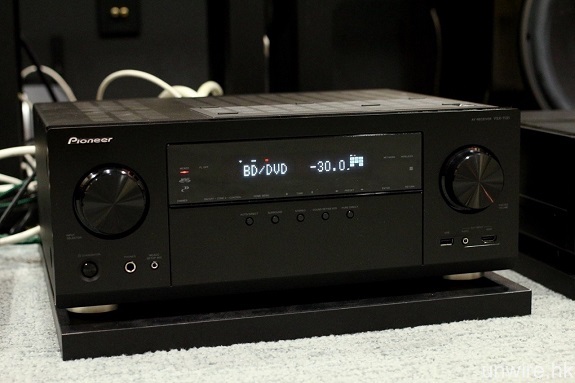 Pioneer & Onkyo U.S.A. Corporation, DBA: Pioneer Home Entertainment U.S.A. is a preeminent manufacturer of high-performance audio and visual equipment for the home.